Our executive chef brings you for the month of May, the delicious simplicity of Quebec pork. 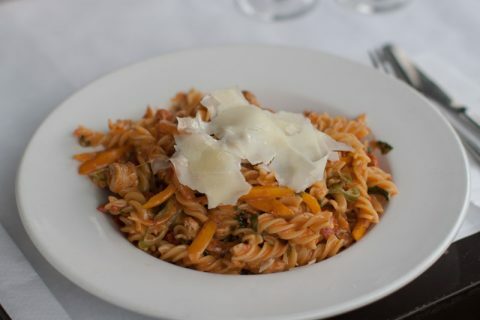 You will find it cut in strips and combined with fusilli and covered with our home made rose sauce, julienne peppers, a touch of hot peppers and Romano shavings, all of which make the flavours dance on your pallet. Also available in Gluten Free.